Masahiro Tanaka is eager to pitch in the Bronx again. 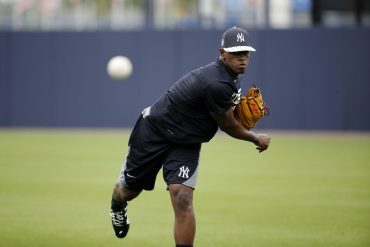 The Yankees’ right-hander, who landed on the 10-day disabled list on June 9 after straining both of his hamstrings while running the bases against the Mets at Citi Field, completed a rehab start with Triple-A Scranton/Wilkes-Barre on Wednesday night, and he told local reporters that he’s pain-free and still on track for a major league start sometime next week. “I’m ready to get back into the rotation,” Tanaka told WNEP Scranton via his translator. 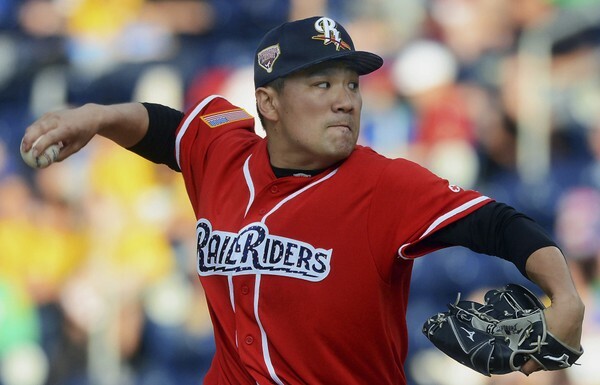 In five full innings with the RailRiders, Tanaka gave up two runs on three hits and also struck out four with no walks allowed in the team’s 4-2 win. He threw 69 total pitches against the Buffalo Bisons, the Toronto Blue Jays’ Triple-A affiliate, and 49 of them for strikes. Although Tanaka ran into some early trouble by surrendering a two-run homer in the first inning, he cruised through the next four innings, retiring 12 batters in a row. The Yankees have maintained their winning ways since Tanaka landed on the shelf nearly a month ago. But with No. 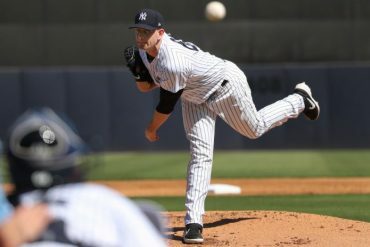 5 starter Jordan Montgomery out for the rest of the season due to Tommy John surgery, the club is in the midst of searching for an additional starting pitcher to acquire before the July 31st non-waiver trade deadline. 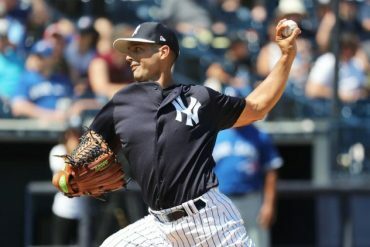 In Tanaka and Montgomery’s absence, three youngsters — Domingo German, Jonathan Loaisiga, and Luis Cessa — have received spot starts, and with those injuries combined with inconsistent outings from Sonny Gray, ownership’s impulse to shop for arms has surely intensified over the past few weeks. One of the Yankees’ trade targets is Blue Jays’ veteran left-hander J.A. Happ, who is scheduled to face New York on Saturday at Rogers Centre. 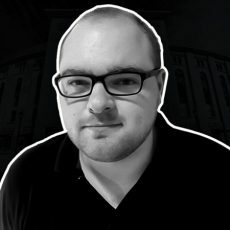 In 17 starts with Toronto this season, Happ is 10-4 with a 4.03 ERA in 102.2 total innings. 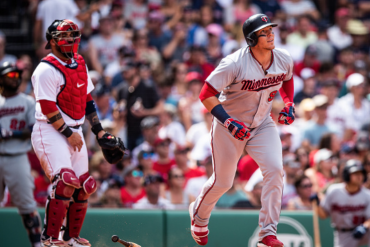 Based on Happ’s availability and affordability, Yankees’ general manager Brian Cashman will be taking a good, hard look at the 35-year-old this weekend. 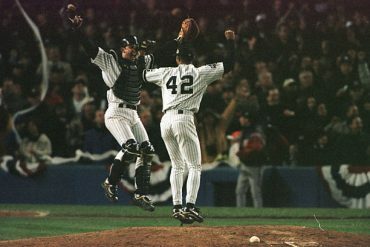 But the Yankees should still be thrilled to see Tanaka back on the big league roster. The 29-year-old is 7-2 with a 4.58 ERA in 13 starts this season. 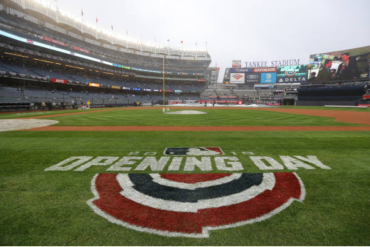 The team has yet to announce when Tanaka will be activated, but he could be a starting option next Monday when the Yankees visit Baltimore for a scheduled doubleheader against the Orioles.